This is a Vial Containing 5.5 Grams of Fasglitter from Parma International. Fasglitter is more than just standard craft store glitter. It's an ultra fine metal flake-like powder specially formulated to be mixed with the Faskoat Sealer. Once mixed, you can easily spray it onto any body using a standard airbrush. Spraying through an airbrush will give you the highest quality results. Then, back it up with any Faskolor paint and you've got a dazzling effect never before achievable with water-based paint. Detailed instructions for use are provided. It's recommended to use a full vial of Fasglitter (5.5 grams) to a 2oz bottle of Faskoat. This is Two Plastic Mixing Bottles from Parma International. FEATURES: Ideal for mixing Faskoat and Fasglitter. Mix different colors of Faskolor paint to create new colors. Clear plastic bottles with plastic flip-top, screw-on lids. This is a Body Detailing Pens by Parma. Pen is the same with a fine tip on one end and a ultra fine on the other. These are used for detailing radio controlled car and truck bodies. 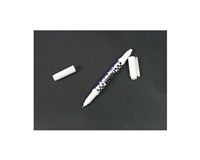 FEATURES: Pen has a fine permanent black marker on the top and a ultra fine permanent black marker on the bottom. Parma's FASKOLOR 2 oz Paint is a Water-Based, Non-Toxic Hobby Paint that is Specially Formulated for Clear Lexan Surfaces. Also safe for foam. It Actually Becomes Part of the Body When Brushed or Sprayed On! Available in Brilliant Mixable Colors, in 2 oz/60ml Bottles. Fuel-Proof, Water Based Formula For Easy Clean-Ups. Many Colors For Painting Slot and R/C Car Bodies, Plastic Models, Pinewood Derby Cars, Boats, Scenery, Signs and Ceramics. 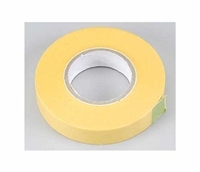 It Remains Flexible and Resists Cracking, Chipping and Impact Damage. Can Be Used With Any Air-Brush That Delivers Over 40 to 70 psi, and Uses A MEDIUM Tip. Includes One 2 oz. Plastic Bottle of White Water-Based Paint. It Is Recommended To Use Water To Thin This Paint. Do Not Use The FASKLEANER To Thin. FASCHANGE colors add shimmering metallic highlights as you view it from different angles. This type of paint appears clear in bottle (shake and stir thoughly before spraying). Spray on one thin coat with even coverage. If this type of paint is backed with FASWHITE or FASPEARL WHITE you will get a brilliant white appearance with fine metallic highlights of the color that changes as you view it from different angles. If backed with FASBLACK you will get a solid metallic color with the highlights as you view it from different angles. (Back up in FASWHITE, FASPEARL WHITE or FASBLACK only). We recommend practicing with paint on scrap before spraying your body. 2 oz/60ml bottle. Non-toxic and waterbased.